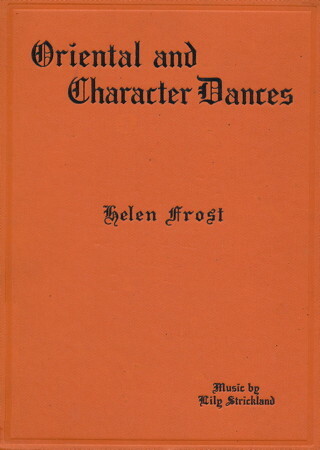 Information: Helen Frost, author of books about dance. Clog and Character Dances. Frost, Helen. New York: Barnes, 1924. Clog Dance Book. Frost, Helen. New York: Barnes, 1921. Oriental and Character Dances. Frost, Helen. New York: Barnes, 1927. Tap, Caper and Clog. Frost, Helen. New York: Barnes, 1931.